Becky Johanson writes about solar powered lighting. Commercial solar lighting has quickly become one of the most popular tools for innovation in America. Municipalities and businesses are switching over to solar lighting as a cost-effective and efficient solution to reduce their energy bills and take part in the green movement. Here are a few unique application ideas where you can install outdoor solar lights. Pathway solar lighting is very popular among environmentalists due to its renewable energy source and ability to preserve the natural environment by not adding any light pollution. Installing and maintaining the light posts is easier to ever thanks to solar lighting systems off-grid system, which saves upfront on trenching and long term energy and maintenance bills. Greenshine produces solar pathway lighting with durable LED lights that can not only outshine traditional lamp posts, but will cost nothing in the electricity bill of the district. These solar pathway lighting posts contain a solar panel, and are completely autonomous. To have a beautiful and durable light in your favorite park or street, ask your local officials to obtain these marvels of technology. Much like pathway lighting, bike lane lighting provides guidance to outdoor enthusiasts. However, it is maybe even more important to have strong and durable light on bike lanes. Cyclists move fast, so being able to see potential obstacles in time is paramount. Solar lighting collects sunlight during the day and uses the stored energy for lighting the pathway during the night. Perimeter lighting uses powerful LED floodlights to illuminate the perimeter of a storage yard, boat dock, military bases, etc. A large advantage of solar-powered perimeter lighting is that even during a power outage, these units are independent of one another or any central grid, so they will resume functioning. This type of lighting is best when you need to illuminate a large, spacious area and ensure the safety of your community by guaranteeing continuous light even in the most dire conditions. Landscape lighting is dually decorative and function, serving as a function of beauty and safety. Bollard lights are a type of autonomous, decorative light mainly used for lighting pathways and gardens. Solar projector lights and solar washer lights are used for illuminating monuments or landscapes in parks. Projectors are small and rounded, but they have powerful beams that provide ample light to light the surrounding area. Similarly, washer lights are in the shape of a rod, similar to a standard neon light. Parking lots are the most common and sought after type of solar street light. If you drive at night, you want your parking lot to be properly lit to ensure the safety of you and your personal belongings. Greenshine offers an amazing parking lot lighting system completely powered by solar energy that include strong, durable LED lights that will perfectly illuminate your parking lot for the night. If you are a business owner, you know the importance of marketing and how a sign can benefit your business in multiple of ways. Illuminate your sign with a flood of pure LED light. Roadway and highway lighting is a major application of solar lighting. Most commercial grade solar lights can be easily installed on the side of roadways and highways since there is no underground wiring or trenching involved, making the installation process quick and easy. Airports are a great place to install solar outdoor lighting systems, since they provide safety for planes and workers at night. Our engineers can design these lights to line the runway and optimize the distribution pattern to ensure maximum lighting for the layout of the airport. Greenshine designed an airport lighting project where we installed dark sky compliant solar lights on the main road to provide the safety and security the project demanded. Solar park lighting has recently become very popular among municipalities across the country, because it is a green technology that produces little light pollution and preserves the natural environment. Since solar lights are off the grid, installing these lights near a playground is perfect as they can be easily installed without major construction to the playground area. Lighting up parks and playgrounds will increase attendance to these facilities and allow park departments to host more events at these locations in the early morning or at night. One popular area for solar lighting is hospitals since they can continue operating during the installation phase of these lights. The dusk-to-dawn technology of these lights are perfect for hospitals since they can set the exact time for the lights to turn on and off for efficient energy use. The most popular types of lights for hospitals are solar parking lot lighting and perimeter lighting so patients and their guests can feel safe and secure even at night. Last year, Greenshine installed 50 solar parking lot lights for the Palomar Hospital in Escondido, CA, saving them an initial $500,000 in upfront costs. Many schools and universities have recently been choosing to use solar lighting systems because they save schools roughly $3000 over a 10 year period compared to traditional lights, which the schools can use to reinvest in their students. These institutions typically choose to install solar parking lot, security, and pathway lights for their projects. Since solar outdoor lights use LED technology, they are higher quality and more energy efficient, allowing these schools to install less and save more in upfront costs. Solar is one of the fastest growing industries in the world due to it’s cost-effective technology and the fact that it is a green alternative with high energy output. Many business owners and commercial property owners are switching over to commercial solar lights as a viable option for green energy to power their areas. In fact, one of the most popular alternatives for businesses is to invest in solar parking lot lights. To learn more about this opportunity, here is everything you need to know about commercial solar lighting for parking lots. Solar parking lot lights are a commercial solar lighting solution for parking lots. These products are typically led parking lot lights and include a solar PV panel, a solar charge controller, and a LED light. To learn more about the basics of solar parking lot light, check out this article on the design basics of the solar light. Solar lights are a great option for parking lot lighting since they are off grid and require no trenching. They take little time to install and won’t damage your parking lot in the process. These lights are compatible with all types of parking lots and provide a green source of energy, which reduces long term energy costs and brands your business as an eco-friendly facility. When compared to traditional led parking lot lights, solar parking lot lights are the best choice for your business. When deciding on lighting for a parking lot, cost is the first consideration. Although many hold the notion that solar power is more expensive, solar is actually less expensive than its traditional counterparts. In fact, solar lights are about 30% cheaper than their counterparts over a 10 year period, making it the most budget friendly option for your project. Solar parking lot lights are no different. They still offer the most cost-effective, long term solution to optimize the energy efficiency of your business or commercial property. Depending on your needs, solar powered parking lot lights will use overall less energy than standard lights because of its innovative technology, including a dusk-to-dawn feature that will only turn on the lights according to your time specifications. Most parking lot lights also use LED, since they are more effective than regular lights. LED lights for parking lots are about 80% more efficient than other types of lights, so you will convert the most amount of energy possible. How to Install These Lights? There are a few factors to consider when installing a LED parking lot light. Before you install the lights, you need to figure out what your specifications are. Get the blueprints of your area to determine how large it is and lighting engineers will figure out where to put the lights for maximum lighting. Next, you need to determine your lighting requirements and needs. How much illumination do you need? Do you want dark sky compliant lights? Do you need all night lighting, or just a few hours? If these questions seem daunting, do not worry since the lighting company you use will take you through this process step by step. Next, you will need to assess the actual lights. To evaluate your commercial solar parking lot lights, our engineers will take into account lighting indicators, lighting levels, and color temperature. These are all determined by the specifications you provided above and will determine the products used and installation process. Other key elements for optimizing parking lot lights include determining the quality and quantity of lights that fit your budget, the lighting uniformity of the lights once installed, and the distribution patterns, which is the density of each light in the parking lot. For example, the footprint on the ground is approximately 2.75 times wider than the mounting height, so make sure to ask your lighting specialist about this detail. How Will Solar Parking Lot Lighting Work for You? To make sure solar parking lot lights will be right for you, contact a commercial solar lighting supplier, and they will quote and design your project for no cost. This way, you can ensure that you are ready to take on this endeavor and go green with your parking lot. One of the best applications for solar lights is to use them for solar lighting retrofit projects. Installing our All-in-One series allows our customers to successfully replace old fixtures but keep the existing poles like in our retrofit project in Tarzana. The ROI from installing a parking lot light is high due to a reduction in your operating cost and the social implications of joining the green movement by providing clean energy to your employees and customers. LED solar parking lot lights are the easiest and most efficient way to improve and modernize your property at a low cost. This is a retrofit project that was performed in Tarzana, CA. The customer was greatly troubled by their existing lights which were consuming huge quantites of electricity while not providing sufficient light for their needs. They had to spend a lot on regular maintenance as well. Their bills were surmounting and thus a newer solar lighting system was needed, so they turned to Greenshine New Energy for their new solution. With our accurate calculation and simulation, unique design, and strictly-controlled manufacturing, they were able to fully solve all their pain points in a short period of time. Our All-in-One Series solar lights successfully replaced the old fixtures and kept the existing poles. We were able to help the customer resolve the problems of dim light and waste of energy while largely reducing installation and maintenance costs. Greenshine New Energy can provide engineering work for your specific project. Based on your brightness requirements and our own calculations, we can help you in designing the location and orientation of the solar light poles in order to achieve the best performances. Not only that, but we can ensure your energy bills are reduced so that you can focus your finances on more important things–like running your business. That’s just our nature here at Greenshine–helping people run their business while saving them money. This project was located at a Subaru dealership in Grand Junction, Colorado. For this particular project, our client was experiencing high electricity bills using High-Pressure Sodium (HPS) lights on his lot which are known to be very expensive. The owner of the lot wanted to make the switch to solar lighting not only to save money, but to help with the ongoing “green” movement in the city of Grand Junction. We first talked about retrofitting the existing poles, but were later advised that installing new poles was the best solution according to our client. We provided him with a mock 3D simulation and thermal rendering with our 80 watt LED system that we decided would fit best in his lot for the budget that he provided us with. Greenshine was able to amply light his lot with 9 solar lights due to proper planning and light location. The solar lights have also caught the attention of the city and have cause quite a bit of excitement around town. It seems like turning to solar is not only beneficial but popular among newer generations! Greenshine New Energy can provide engineering work for your specific project. Based on your brightness requirements and our own calculations, we can help you in designing the location and orientation of the solar light poles in order to achieve the best performances. We’re in the solar business not only because it’s great for the environment, but because it makes people smile too. Perhaps that brings a new meaning to Greenshine–smiling faces, shining over a fantastic method of using the power of the sun. Solar lighting equipment vendor Greenshine New Energy attended the MSA 50th Anniversary Conference and Equipment Show this month, celebrating partnerships with fellow MSA members. 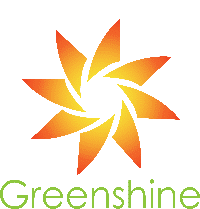 Greenshine New Energy, the leading solar LED lighting equipment supplier headquartered in Lake Forest, CA, celebrated it’s partnerships at the MSA 50th Annual Training Conference and Equipment Show. The event was hosted from Oct 2nd to 5th at the Fantasy Springs Convention Center, Indio CA. Members from 10 chapters attended the show. “As the Preferred Solar Lighting Vendor, we have great partnerships with Superintendents from many municipalities and counties throughout California. Attending this important conference is a way to show our appreciation for their support.” said Heidi Emmert, Vice President of Greenshine New Energy, who represented the company and attended the conference. The MSA has provided a great platform for member vendors to connect with fellow MSA members, many of them have been members and exhibiting for decades. The close/tight relationship between the vendors and attendees grows stronger every year, building trust and respect. During the conference, Greenshine New Energy showcased its latest solar technology and product applications including solar LED lights for parking lots, streets, pathways, and portable solar lighting system for temporary construction sites. In comparison with the traditional grid-tied option, solar LED lighting systems reduce the cost of trenching, wiring, running conduit, etc, making them a popular choice for new construction projects across the nation. As the country leap forward into renewable energy and green initiatives, like the California’s solar mandate on homes built after 2022, solar powered lighting will receive more attention and demand in years to come. The Maintenance Superintendents Association (MSA) is a non-profit professional organization dedicated to ensuring the health and safety of the public. This is accomplished by fostering the dissemination of knowledge and experience pertaining to the operation and maintenance of public facilities among it’s membership. Memberships are comprised of public agency supervisors, superintendents, managers, directors, staff, salespersons, and vendors of equipment, materials and services. As a leading solar lighting company, Greenshine New Energy is pleased to announce that we will be the exhibitor of The Texas Municipal League Annual Conference and Exhibition show. It is one of the nation’s largest gatherings of local government officials with around 3000 delegates from 300 cities attending this conference. The conference will be held from October 10-12, 2018 at the Fort Worth Convention Center, Texas. Topics include smart cities strategy, Economic Development, Renewable Energy etc. At the conference, Greenshine will showcase our outdoor solar lighting products. Solar powered lights have always been considered the most cost-effective technology to light up the city. They preserve nature and reduce construction costs associated with trenching, running conduit, etc., making them a popular choice for new projects around the United States. Greenshine looks forward to meeting and connecting with city department executives to figure out ways that can improve quality of lives of their citizens and tackle issues on illumination problems faced by Department of Public Works in the cities of Texas. Our outdoor solar lighting specialists will lead the solar lighting exhibition and demonstrate various applications of our solar powered outdoor lights. Some of our lighting applications including outdoor sign lighting, parking lot lighting, street lighting, outdoor pathway lighting, etc will all be introduced in the exhibition. As a solar- powered lights manufacturing company, Greenshine is proud to assist city officials by providing a variety of lighting solutions to fit their needs– from the pathway, perimeter, monument to security lighting— to ensure the safety of city citizens and better serve the people in the local communities. The voltage from the solar panel raises and gets higher than it was during the night. When a certain voltage threshold is reached the controller will detect this and turn off the light. The battery will then being to charge itself from the discharge that occurred when it was powering the light. As the sun sets the photocell that is built into the panel will sense the voltage drop as the panels are no longer taking a charge. The battery has been charged throughout the day and is now ready to discharge and provide electricity for the lamp and turn it on. If there is inclement weather, there are at least three days backup for Greenshine’s system. Sizing is a term used to describe the measurements and specifications of an off-grid solar lighting system, which is a system that is not connected to the main power grid. While this task may seem daunting as there are many details taken into account when sizing an off-grid system, our expert team of engineers will provide these calculations for you. Here’s a brief outline on sizing a solar lighting system. Unlike most grid-tied systems, solar powered systems are off-grid and naturally powered, which contributes several extra factors when sizing your system. Because there is not a one size fits all model to outdoor solar lighting, our engineers customize each project to your specifications. For example, we base our calculations on your specific location by longitude and latitude to understand the sun exposure in your area. Additionally, we base all of our estimations on the winter solstice, which is the worst case scenario for lighting projects. This ensures that you will still have light even when the least amount of sun is available in your area. In fact, our engineers have even optimized our lights to produce power in cold and snowy conditions for our Mammoth Lakes project. There are four major steps to create your lighting system, including calculating the load estimation, solar panel amperage, the backup battery, and the inverter system. Load estimation refers to the total consumption of your solar system. When designing your solar lights, experts consider how much energy storage do you actually need in Amps at 12VDC. They figure how much total Watt per hour you need per day and multiply it by 1.3 to account for energy lost in the system. An important factor when designing your solar powered system is to figure out the amount of energy each solar panel produces. To do so, take the total Amps required and divide it by the amount of sun available. Then, add 20% extra as a safety net for days with less sunlight. Since not all of us are blessed with bright and sunny skys everyday, a backup battery is essential when powering solar street lights. This battery should have a minimum of five nights of autonomy to ensure adequate lighting, with more nights available in the colder, northern regions. To calculate your backup battery, simply multiply the total amps by the minimum amount of days required. A solar inverter, or PV inverter, converts the energy generated by the solar panel into usable energy. Typically, inverters convert a direct current (DC) of the solar panel into an alternating current (AC), which can be fed into a commercial grid. To make life simpler, our solar street lights do not include an inverter, as they are off the main grid system. Our team of engineers will ensure that you will have usable energy in the upcoming years when sizing a solar lighting system. Once all these steps are completed, our engineers will continuously work with you to ensure your vision for your project becomes a reality. Greenshine will guide you through this process from start to finish to guarantee the best lighting solution possible. If you have more questions, feel free to check out our solar F&Q page or leave a comment below. Every year, Greenshine heads to multiple conferences across America so we can connect with more professionals to learn, improve, and grow to better suit the needs of our customers. Our team is always there to tell professionals about solar street lighting, our projects, and how solar lighting can used in their local communities. Want to meet us in person? Here is a list of some of the upcoming trade shows we’re attending in 2018. Come join us at the annual Department of the Navy Gold Coast event! The National Defense Industrial Association (NDIA) hosts the premier procurement conference in the county where they educate and assist both small and large businesses. As a former member of the United States Air Force, our DOD specialist Dave Beatty will be joining us to make meaningful connections at this event and provide the specialized lighting solutions that military might need to meet their green and sustainability initiative. We are super excited to be attending the Public Works Exposition hosted by the American Public Works Association in Kansas City this year. This conference tackles issues the public works department faces and hosts both professional development and educational sessions for leaders in the industry. After partnering with several public work departments all over the country, Greenshine is very excited to meet more professionals in the industry and learn how we could better assist with your lighting needs. Located at the Long Beach convention center, this large event attracts city officials throughout California to learn about new legislative updates, debate issues, and vote on the League Resolutions. Greenshine is honored to attend this event and present our products as an environmentally friendly and responsible way to reduce pollution and preserve our surroundings at a low cost. We care deeply about the issues and are eager to learn more about how we can be of help in our local communities. With over 8,000 park and recreation professionals in attendance, Indianapolis hosts the largest parks and recreation conference in America! It features educational sessions, networking events, and new product exhibitions in 11 different fields, including conservation, health, sports programming, and more. We are very excited to meet and network with professionals at this conference as our parks and pathway solar lighting perfectly complements the natural environment and provides an ecologically friendly way to enjoy parks and trailways at night. Join us at the TML Annual Conference and Exhibition this year! As one of the largest gathering of local government officials., this conference allows leaders to network and discuss the issues in their cities, making decisions that will impact thousands of lives. Greenshine wants to assist these leaders by providing a various array of lighting solutions to fit their needs– from pathway to perimeter to security lighting– to ensure the safety of their citizens and better serve the people in their local communities.